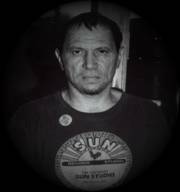 Producer/Musician Mike Alvarez formed Not Records Tapes music recording company in Austin Texas in 1984. 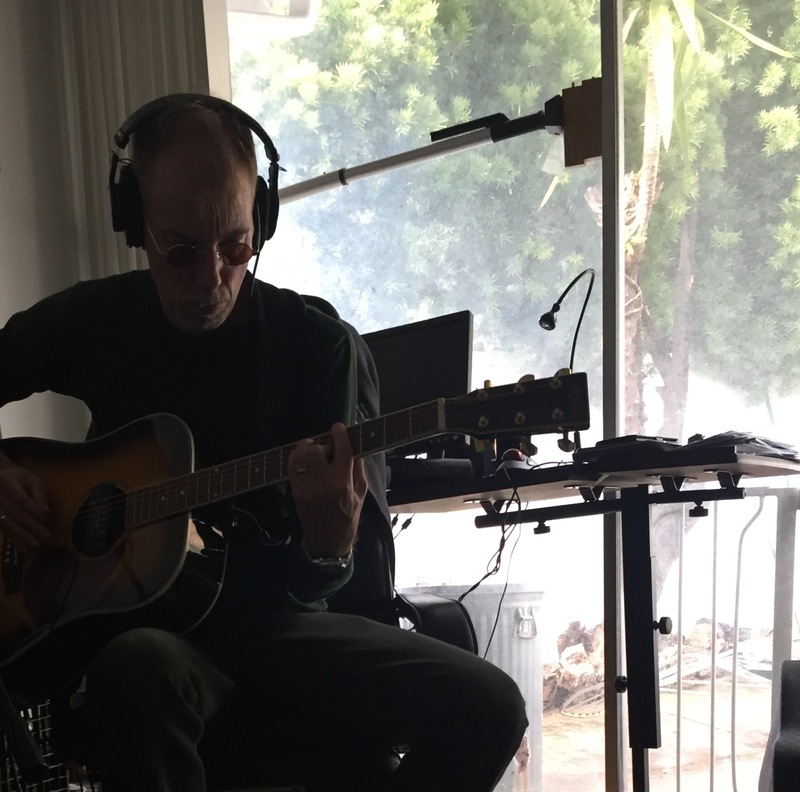 Before moving to Los Angeles in 1988 to expand his work in music, film and television, he produced the likes of Haunted Garage, Daniel Johnston, Roky Erickson, The True Believers with Alejandro Escovedo, Texacala Jones, and many other influential, independent and amazing artists. Not Records Tapes is the founding company of NRT Entertainment Group (NRTEG), which includes film production and music publishing. Alvarez has been a professional musician since 1970, beginning in high school as a guitarist for the Mc Allen, Texas rock group Medusa ("Medusa Seduces" was our slogan). In 1981, Alvarez joined Austin's Max and the Makeups and has been an independent music producer, singer-songwriter-guitarist, and entertainment entrepreneur ever since. 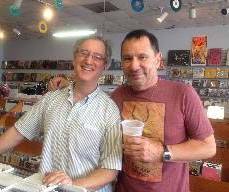 Not Records Tapes' head Mike Alvarez, Matt Jansky, John Lusitana will perform a set of Danny Kirwan songs at the Pig n Whistle Saturday August 25 th at 9pm. Danny passed in June of pneumonia complications. All Ages. Great food and prices. $5 at the door if you say “Danny Kirwan” (otherwise $10). Parking: Street and Hollywood/Highland parking structure near. Also, public parking lots available one block south of the Pig N Whistle , 6714 Hollywood Blvd., Holywood CA 90028 (323) 463-0000. 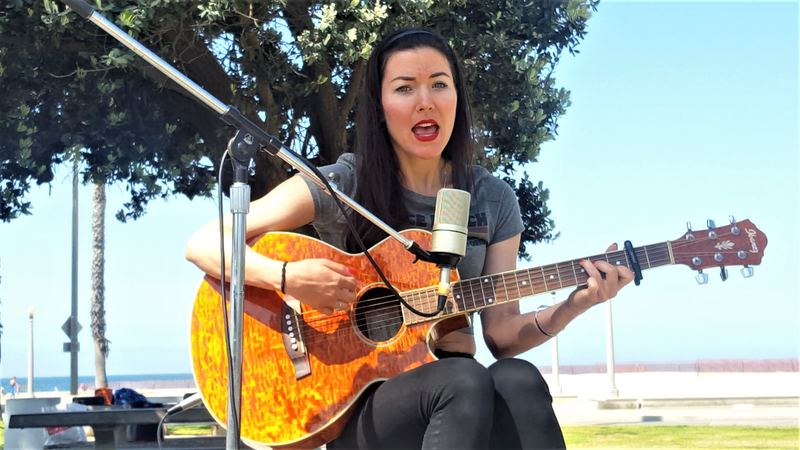 Deniz recorded live May 21, 2018 on the beach of Santa Monica, California. Mike Alvarez: Electric guitars, vocals. 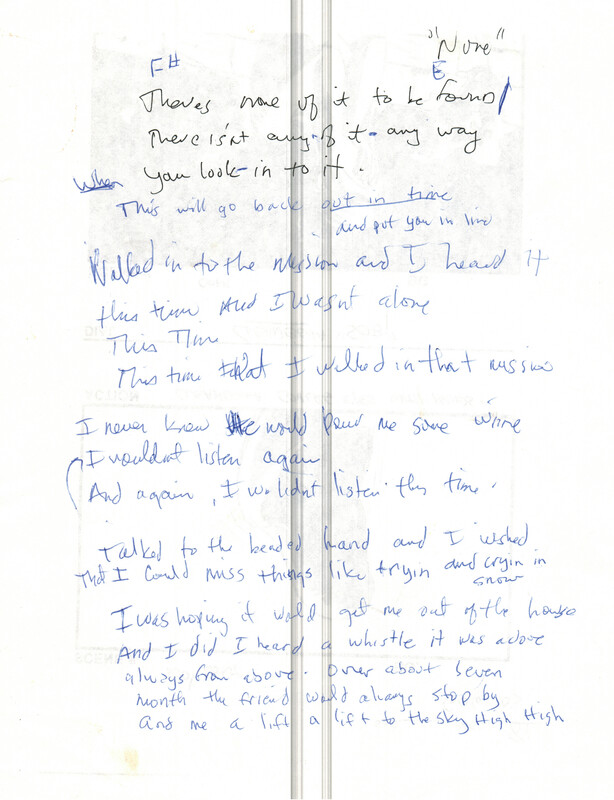 Send My Love In" (Bonus Track). In 2016, Puke n Vomit Records of Fullerton California released a 10-song, full length LP titled "Chasing the Monsters" (The title track song written by Larry Seaman of The Standing Waves). The LP is now available both on vinyl and digital streaming at CD Baby. The LP is available digitally at all major digital outlets iTunes, Spotify, Amazon MP3 and more. "Chasing the Monsters" marks the second Makeups release on Puke N Vomit Records. 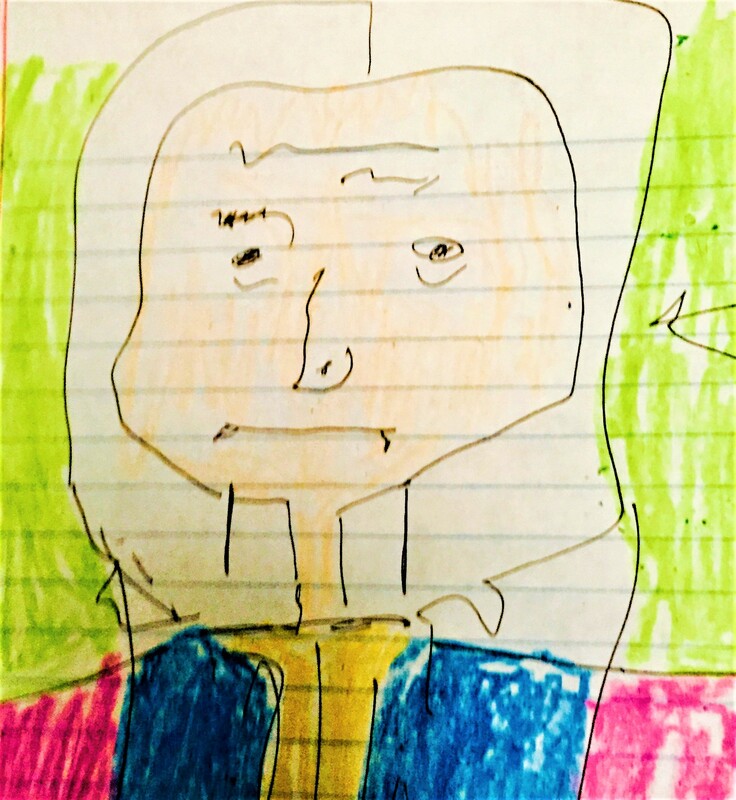 In 2010, Puke n Vomit released a self titled, 4-song ep. Click HERE to order digital downloads or vinyl from CD Baby now. Available on iTunes, Spotify and all major streaming services. Click BELOW to order vinyl by PayPal or credit card. 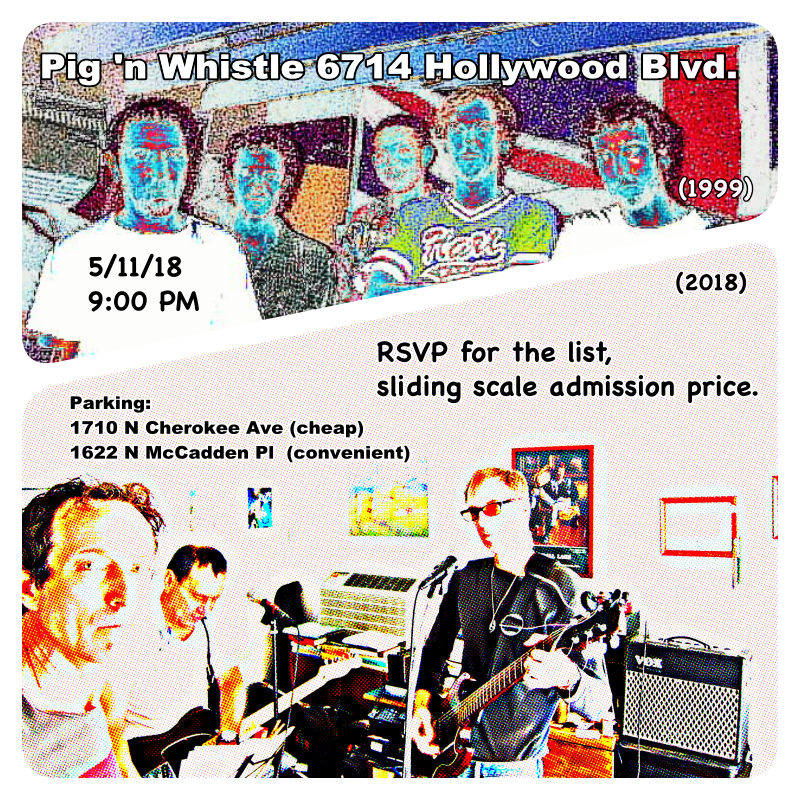 This Pig N Whistle show May 11, 2018 was a gas. Drummer Bill Dumas was in from the East Coast and Josh Cobos, longtime friend, got up and joined the show with a 3 song ending along with Mike Alvarez and Matt Jansky. Not Records Tapes head, producer musician Mike Alvarez later recorded a 4-song ep for Deniz on the Santa Monica Beach. The ep will be ready by summer. Alvarez also shot a video of Deniz performing the song "Let me Know", which will be on the ep. 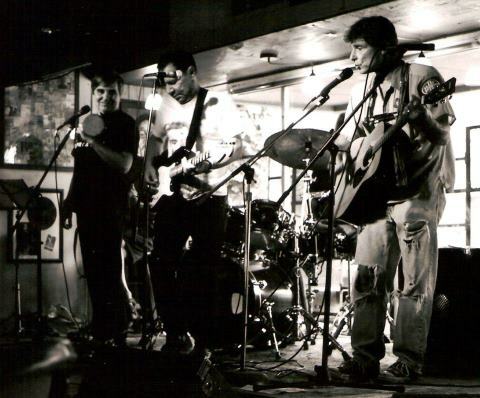 Mike Alvarez and his long-time band mates Bill Dumas and Matt Jansky, play Pig and Whistle Friday May 11 at 9PM. The Pig N Whistle is located at 6714 Hollywood Blvd., Hollywood, CA. Cover: $10 (all ages). Parking: Street and Hollywood/Highland parking structure near. Also, public parking lots available one block south of the Pig N Whistle. Great food, reasonable prices. Well, it took a while, but the John Lusitana mastering of the Urbel Gleezoo sessions is here for your listening. Urbel Gleezoo, featuring Lisa Gamache, Mike Alvarez, Matt Jansky and Bill Dumas, completed work on the experimental project/LP "Urbel Gleezoo" in early 2014. Nine songs were tracked and were available only on iTunes briefly until now. What started out as a test session using the Pro Tools set up sent to Alvarez by Jonie Hell turned into an albums' worth of material two years later. 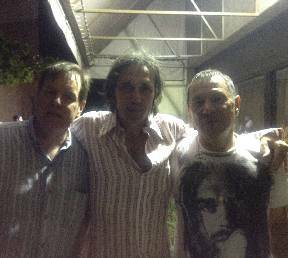 Alvarez brought the song "Play on Birds" to his interview with Brian Parrish at San Antonio College's Casbah Radio during his 2012 Summer Tour (see below). 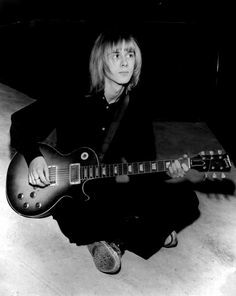 "I was surprised Brian played this wild stuff, and we talked about the sessions that were going on at the time. The songs kept on coming. "Urbel Gleezoo means absolutely nothing. It was just a thought but it works with the music", says Alvarez. Regarding the sitar tabla interludes, Not Records Tapes' head Mike Alvarez and Schuyler Hupp recorded American sitar master Stephen Slawek and tabla master Swapan Chaudhuri at the University of Texas in 1986. "I let Steve and Swapan know this stuff would eventually be on this recording", says Alvarez. Click on songs to listen for free. Purchase not available at this time. lazy, or just know you can lay something down. the birdy is in there. Puke n Vomit Records of Fullerton California has released a 10-song, full length Vinyl LP titled "Chasing the Monsters" (the title track song written by Larry Seaman of the Standing Waves). This marks the second Makeups release on Puke N Vomit Records. 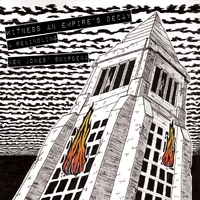 In 2010, the label released a 4-song ep (see below). Click HERE to order from Not Records Tapes now. Orange County's Puke N Vomit Records found Max and the Makeups music here at Not Records Tapes and asked "Why hasn't this band ever been released?" Puke N Vomit has released a 4-song ep with the songs Poland, Day In Day Out, 60-Minute Man, and Let Go. 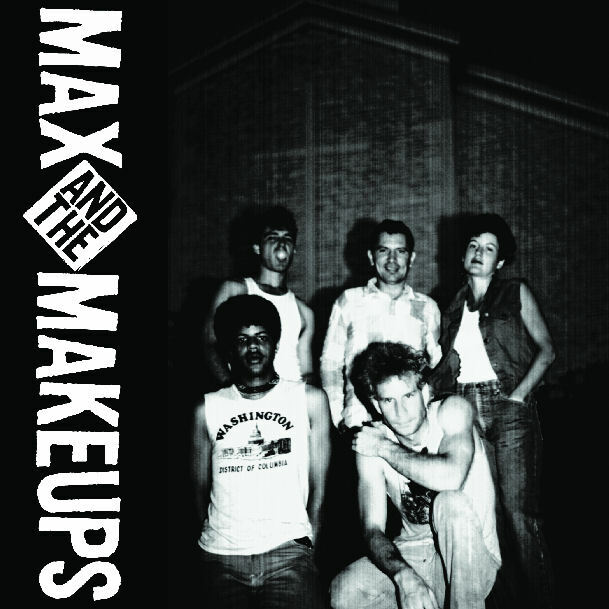 Click below to listen to MP3 recordings of the songs and all of Max and the Makeups major studio works. Max and the Makeups is back row, left to right: Max Gottlieb, Mike Alvarez, Lisa Gamache. Bottom row, left to right: Jon Howard (a.k.a. Jonie Hell), and the late Karl Remstam. Photo by Kevin Smith. To order disc, click Discogs or Puke N Vomit Records. 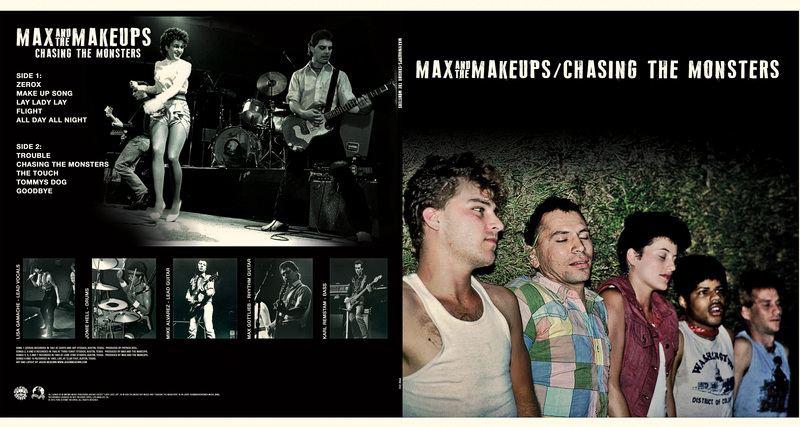 Max and the Makeups' Lisa Gamache and Mike Alvarez revved up for a West Coast mini-tour this past summer. 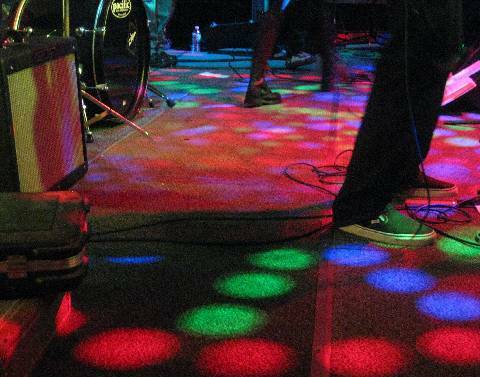 The group's first show in over 25 years was at the Riff Haus in Fullerton California. The following day, the group performed at a house gig near UC Santa Barbara. Also filling in for the group's original members: Matt Jansky (rhythm guitar), Bill Dumas (drums) and Schuyler Hupp (bass guitar). A follow-up LP with Puke N Vomit Records is in the talking stages. 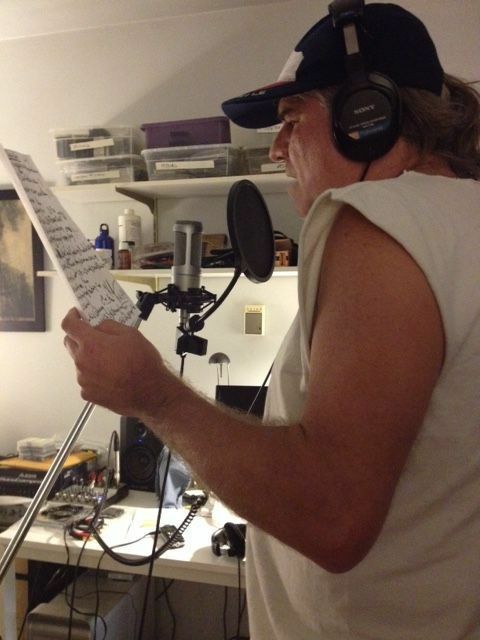 Ken Jones Records "Where Have All the Flowers Gone" (Daisy's Song). Matt Jansky arranged the Ken Jones song "Where Have All the Flowers Gone" with Matt on bass and rhythm guitar, Bill Dumas on percussion, and Mike Alvarez on lead guitar. Mike Alvarez will be performing a short set, acoustic solo, this Friday at 9:30PM at the Pig N Whistle in Hollywood . 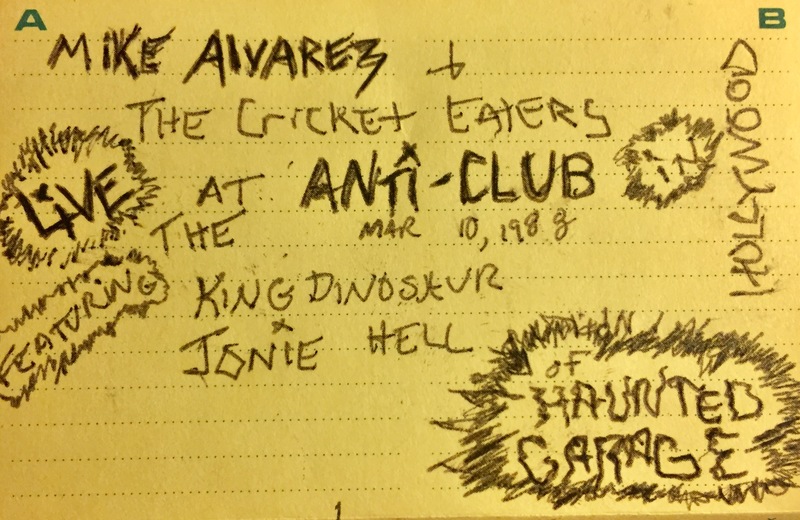 Alvarez will be following long-time friend/songwriting collaborator/poet Ken Jones' set that starts at 9PM . Ken will be playing a 30 minute set promoting his new works “Face of the Apocalypse”. 6714 Hollywood Blvd. , Hollywood , CA . Parking: Best place to park – There is a public parking lot one block south of the P n W. Hollywood Highland parking is close. Street parking possible. P n W is a great place to dine – and prices are great for the quality of food served. Make it a night. Mike Alvarez 2010 ep "Yes It's Good"
In 2014, the single "Yes It's Good", from the 2010 Mike Alvarez EP of the same name, has been released on iTunes. In 2010, Mike Alvarez recorded the 4-song EP titled "Yes It's Good". All four songs are available for free down load. Click here. Roses. Photo by Gina Evins. click here to view Alvarez and Buck's in-store video footage performance of Danny Kirwan's "Jewel Eyed Judy"
click here to view Alvarez performing the Alvarez-Jones song "The Gospel Song"
click here to view Alvarez performing the Alvarez-Jones song "The Bridge"
Mike Jensen (left), Mike Alvarez (center) jam with Dan Cook and The Palavers at Plews Brews, Portland, OR July 11. 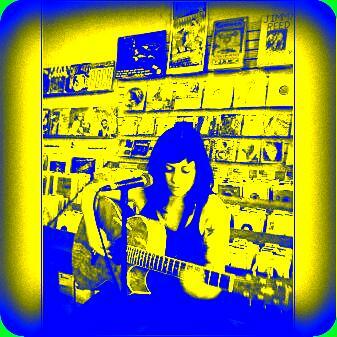 While in Austin performing at Antone's Record Store, producer musician Mike Alvarez had Aimee Lane jump up and play at the suggestion of store owner, drummer Mike Buck. Alvarez recorded some demo material for Aimee the next day. Click on the track below. 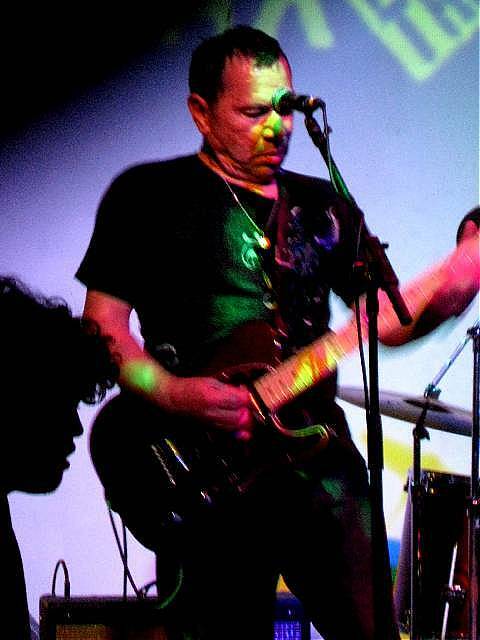 Austin native Alvarez has been writing and performing his Texas psychedelic rock songs since the 1970s. A former collaborator with Thirteenth Floor Elevators' icon Roky Erickson, Alvarez has carried on that psychedelic tradition that began in the 1960s, adding his own L. A. Influence to the Texas acid rock-driven sound. A filmmaker as well as songwriter, he performed with Erickson in the 1984 documentary Demon Angel - A Day and Night with Roky Erickson. Alvarez later produced an updated version of the film and soundtrack in 1994 that was released on Amsterdamned Records. His current tour, which he calls “Songs of Influence,” began in April at Hollywood's Pig N Whistle. YouTube video footage of Alvarez's performance of Buddy Holly's ‘Heart Beat” and Roky Erickson's “Hungry for Your Love” from that show can be viewed on YouTube and notrecordstapes.com. The songs of influence are artists that influenced Alvarez, artists that were heavily influenced by the great Buddy Holly. In addition to original Alvarez material, he will cover Buddy's “Heart Beat” and songs by artists Roky Erickson, Danny Kirwan and Jeremy Spencer of the blues era Fleetwood Mac. In Portland, Alvarez will share the stage at Plews with The Palavers, a Portland band with a play list ranging from originals by band members Greene Lawson and Dan Cook to songs by Robbie Robertson, Woody Guthrie, Neil Young, The Grateful Dead, Gene Clarke, the Band and Bob Dylan. 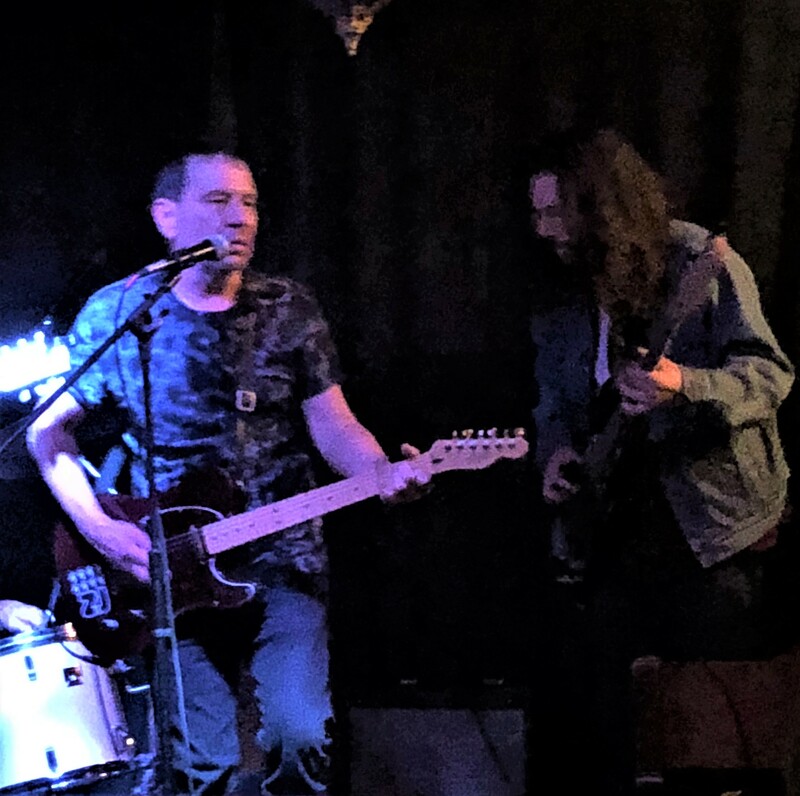 Cook and Alvarez describe themselves as “old L.A. hangin' out buddies” who previously collaborated in a Roky Erickson tribute band. 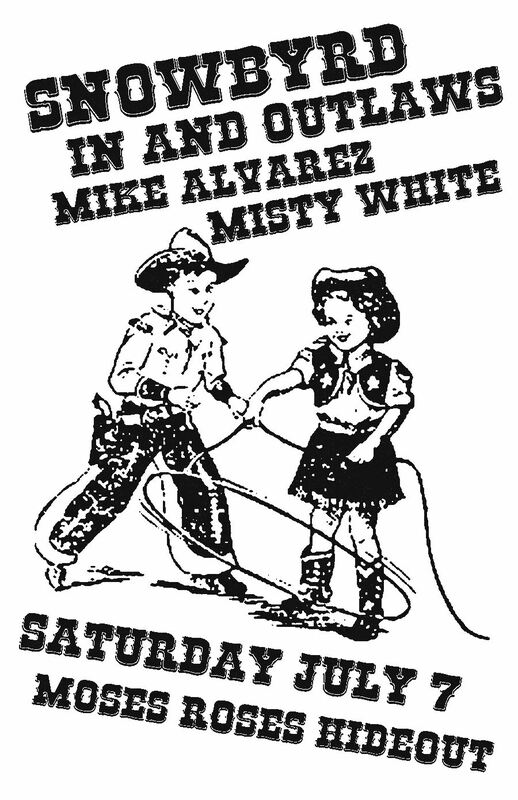 It will be a great Saturday night at Moses Rose's Hideout as two of San Antonio 's faves Snowbyrd and The In & Outlaws are joined by out of town amigos Mike Alvarez ( Los Angeles ) and Misty White ( Memphis ). Mike is a Rio Grande Valley native who played in Austin band Max & The Makeups, produced Roky Erickson and Daniel Johnston (among others) and has continued to play and record over the past thirty years or so. Misty White is a one of a kind off the wall songstress who was in seminal Memphis riot-girl out the Hellcats and has also played drums with Tav Falco, Townes Van Zandt and others. DJ EPSR will spin between sets. Be there. Late 80's Austin post punk Peace Corps have remastered their 1989 album Pastures of Plenty for release on Not Records Tapes. Urbel Gleezoo's "Play on Birds" debuts on Brian Parrish's Casbah Radio. 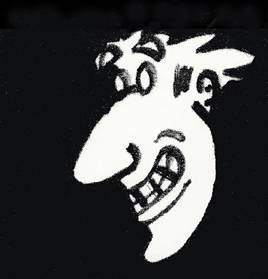 Click here to go to Casbah Radio. Beginning on Christmas day 1985, this experiment by Mike Alvarez on guitar and the late Charles Gunning on vocals eventually yielded three songs based on a fictional story by Alvarez and Gunning. They titled the musical adventure and tale Ambrosiedies and the Guardian of the Guitar from Hell. The songs, Hymn For Morella, Andromeda Woman and The Lady's From Hades, weave an imaginary tale of guardian angels. 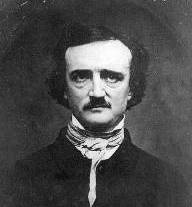 Hymn for Morella is the Edgar Allan Poe poem written after the passing of Poe's wife Morella. 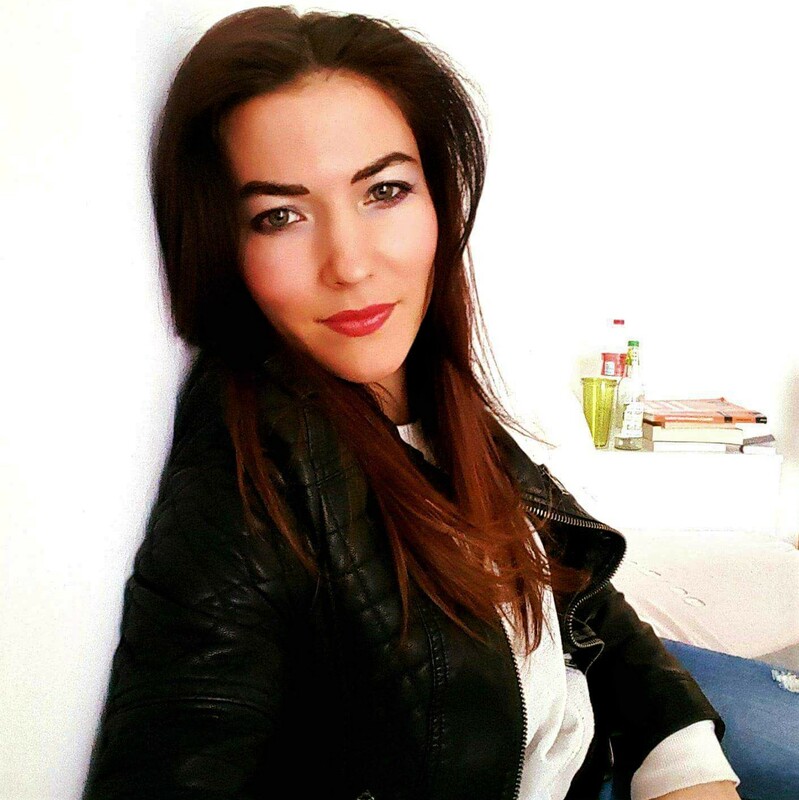 Click on song title below for free MP3 downloading and listening. Other songs coming as soon as we can find them! Words by Edgar Allan Poe. Charles Gunning on voice. Mike Alvarez on guitars. Mike Jensen on drums.